Weekend knocks, final day in November and I throw this colorless month out with twenty essential punk rock blasts, so let’s wring the neck of California in this case and we travel back in time to the early 80s where all those rare sound documents were made in shabby little studios without a plan, out from the belly, pure emotion. Side A starts a bit lame and disoriented, a little soft whispering and I’m struggling to get not drunk, on the other hand, I have to buckle up at Side 2 so as not to fly through the windscreen. In a scale of ten points as top grade I would give 7,5. Well, in any case interesting mixture anyway. 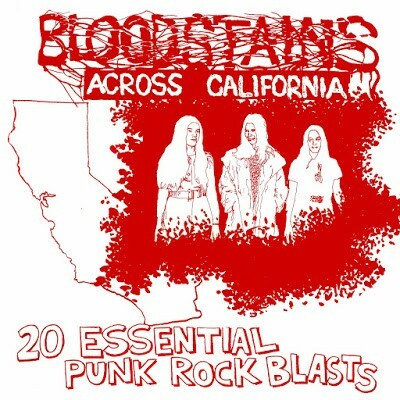 Bloodstains · Compilation · U.S.